This Saturday, January 12, marks the 50th anniversary of the release of Led Zeppelin's self-titled debut album, which introduced the world to arguably the most influential and beloved hard-rock band of all-time. Led Zeppelin played a large part in defining the heavy metal genre, driven by Jimmy Page's intricate guitar riffing, Robert Plant's banshee howl of a voice, John Paul Jones' adept, soulful bass and John Bonham's bludgeoning yet groove-heavy drums. Produced by Page, the album was recorded in September and October at Olympic Studios in London, reportedly in just 36 hours and at a cost of less than 2,000 pounds. The nine-track collection features original tunes mixed with covers and reworked versions of contemporary blues and folk songs. Among the memorable tunes are "Good Times Bad Times," "Babe I'm Gonna Leave You," "Dazed and Confused," "Communication Breakdown," and "How Many More Times." After its initial release, Led Zeppelin peaked at #10 on the Billboard 200 and went on to sell more than eight million copies in the U.S. When the album was reissued in 2014 with a bonus disc featuring audio from an October 1969 concert in Paris, it reached #7 on the chart. 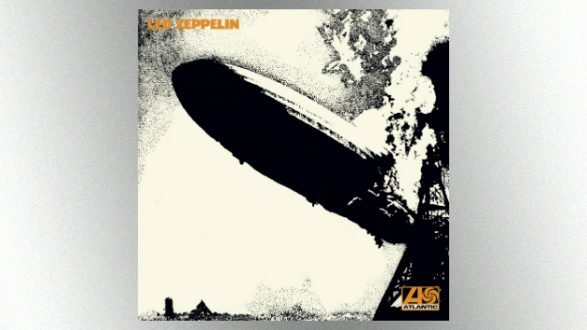 The Led Zeppelin album was poorly received in general by critics at the time of its release, with Rolling Stone panning the record. The view of the album, of course, has been reassessed over the ensuing years. Case in point: On Rolling Stone's 2012 list of the 500 greatest albums of all time, it ranks at #29. The magazine noted that "the template for everything Zeppelin achieved in the 1970s is here: brutal rock…thundering power balladry…acid-flavored folk blues…Heavy metal still lives in its shadow."